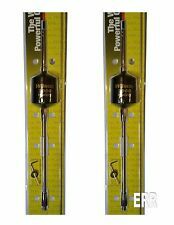 PREDATOR 10K K-1-27 COWTOWN CB, HAM ANTENNA MADE IN THE USA!!! 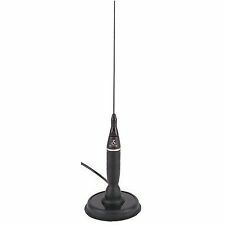 2` Foot Fiberglass 750 Watt - Black CB Radio Antenna USA MADE!!! 2` Foot Fiberglass 500 Watt - Black CB Radio Antenna 2 ITEMS USA MADE!! 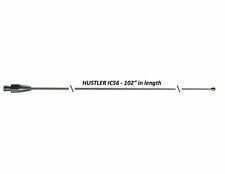 HUSTLER IC56. 102" LONG WITH 3/8" X 24 THREAD. s 1 ( 1195. b 6 ( 187. EFFINGHAM RADIO REPAIR. 17-7 STAINLESS STEEL. Would buy from again. g s ( 70. ). 18 FEET 95% SHIELDED RG58 COAX W/ HAND SOLDERED PL259 CONNECTORS. EXIT 160, I/57 & I/70. HEAVY DUTY KA52BARREL SPRING. HEAVY DUTY ALUMINUM MOUNT AND STUD. Will buy from again. Roll Tide c n ( 436. ). With 62.5" WHIP. Magnet Mount Antenna Base with 62.5" Whip. 17-7 PH Tapered Spring Stainless Steel Whip. EXIT 160, I/57 & I/70. 5000 AM/ 20,000 SSB Watts Power Handling Capability (ICAS). EFFINGHAM RADIO REPAIR. The "FL" Series antennas are the performance leader of lightweight top-loaded CB antennas. From the perspective of mount stress, the lighter materials and reduced wind drag of the "FL" antennas reduces stress by more than 60%. 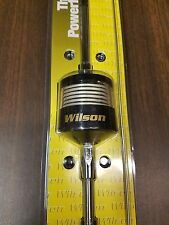 Wilson 1000 Magnet Mount CB Radio Antenna 880-900800B With 62.5" Whip New!! With 62.5" Whip. 62.5" 17-7 PH Tapered Spring Stainless Steel Whip. Tests by Lockheed Show Wilson W1000 has 58% More Power Gain than K40. Magnet Mount Base. EXIT 160, I/57 & I/70. EFFINGHAM RADIO REPAIR. 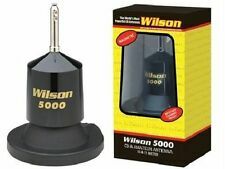 5 out of 5 stars - Wilson 1000 Magnet Mount CB Radio Antenna 880-900800B With 62.5" Whip New!! 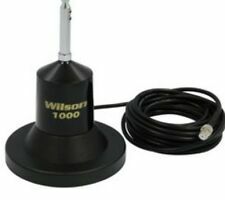 45 product ratings45 product ratings - Wilson 1000 Magnet Mount CB Radio Antenna 880-900800B With 62.5" Whip New!! T2000 Series is a Stainless Steel Center Loaded Coil 10" Shaft and 49" Stainless Steel Whip Rated at 3500 Watts. Authorized Wilson Dealer. Black/Clear Coil housing is Made of High Impact Engineered Thermoplastic. FIRESTIK FL4. The "FL" Series antennas are the performance leader of lightweight top-loaded CB antennas. From the perspective of mount stress, the lighter materials and reduced wind drag of the "FL" antennas reduces stress by more than 60%. PREDATOR 10K K-1-27. This antenna just plain rocks! 3/8 Base Thread Standard thread type found on 95% of all CB antenna mounts. No problem, each part of the 10K antennas are available. (Includes: Antenna, Coax, Mirror Mount). 5 out of 5 stars - PREDATOR 10K K-1-27 COWTOWN CB, HAM ANTENNA MADE IN THE USA!!! 6 product ratings6 product ratings - PREDATOR 10K K-1-27 COWTOWN CB, HAM ANTENNA MADE IN THE USA!!! 4 FOOT FIBERGLASS ANTENNA TOWER MAST SECTIONS POLES USED BUT VERY GOOD. THE MAST SECTIONS ARE USED SURPLUS. SEE PHOTOS, THEY ALL INTERLOCK. THE SPECIFICATIONS OF THE SMOOTH WALLED MAST SECTIONS ARE AS FOLLOWS. PROCOMM PAT-12. Two piece 1/2 wave base station. EFFINGHAM RADIO REPAIR. Papers for antenna?. r n ( 438. NEW USA MADE. Made in USA. OVER 20 YEARS EXPERIENCE. ). 4 out of 5 stars - PROCOMM PAT 12 PATRIOT BASE STATION ANTENNA 11 meter CB RADIO USA MADE!! 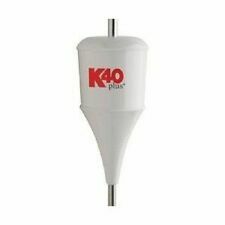 34 product ratings34 product ratings - PROCOMM PAT 12 PATRIOT BASE STATION ANTENNA 11 meter CB RADIO USA MADE!! TAKE A SNAKE BITE AT YOUR COMPETITION WITH THE 25,000 WATT VIPER! EFFINGHAM RADIO REPAIR. cool glow in the dark eyes. Great c 5 ( 23. OVER 20 YEARS EXPERIENCE. ) 2018-06-01. Good w 4 ( 52. ). Sirio Bull Trucker 3000 3/8 w/ Shaft CB & 10M Mobile Antenna - Green LED! Very High Power Base Loaded Trucker Antenna. Systems: CB 27MHz, 10m-HAM. Unique LED PCB That Lights Up in Green When Transmitting. Exclusive LED PCB that lights up when transmitting. Low loss high ‘Q’ air wound coil design of 48mm/1.9” use 3mm/9-AWG wire without soldering points, all screwed on. 5 out of 5 stars - Sirio Bull Trucker 3000 3/8 w/ Shaft CB & 10M Mobile Antenna - Green LED! 1 product rating1 product ratings - Sirio Bull Trucker 3000 3/8 w/ Shaft CB & 10M Mobile Antenna - Green LED! 10,000 Watts Power Handling Capability. 6 Gauge Solid Copper 100% Silver Plate Wire. 10” Stainless Steel Shaft. Can be Tune for 26 – 30 Mhz. New Retail kits, factory tuned. Made in USA. Top notch! Radar Detector Accessories. 9" Super Flexible CB Antenna. Fixed Mount CB Radios. Base Station CB Radios. Handheld CB Radios. Handheld CB Antennas. Car Safety & Security. Car Alarm Install &Accessories. 102" LONG WITH 3/8" X 24 THREAD. 17-7 STAINLESS STEEL CAN BE BENT 180 DEGREES AND. FREQUENCY RANGE IS 26-30Mhz. SWR ADJUSTABLE. · 49" 17-7PH Tapered Spring Stainless Steel Whip. 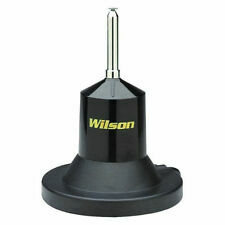 Authorized Wilson Dealer. · Weather Channel Ready. · Model Number: 305550-5 Black. 10" Shaft and 49" Stainless Steel Whip. EFFINGHAM RADIO REPAIR. - Uses 10-Gauge Silver Plated Wire. - T2000 Series is a Stainless Steel Center Loaded Coil. - Frequency Range: 26MHz to 30MHz. - Black Coil is Made of High Impact Engineered Thermoplastic. Far Above and Below the Traditional CB Channels. - Full 1/4 Wave Antenna. - 17' Antenna in Three Easy to Assemble Sections. Greater Wind Loads. Super antenna works great b y ( 149. - Heavy-Duty Mounting Plate withstands. ). Trending at $41.73eBay determines this price through a machine learned model of the product's sale prices within the last 90 days. Shock Resistant Impact Spring. Magnet Mount. TAKE A SNAKE BITE AT YOUR COMPETITION WITH THE 25,000 WATT VIPER! EFFINGHAM RADIO REPAIR. cool glow in the dark eyes. OVER 20 YEARS EXPERIENCE. Exelente producto z 2 ( 19. They look really good on my truck and work really good b 3 ( 21. ). MONKEY MADE MM9 MEDIUM ANTENNA 30,000 WATT Monkey Made MM9 Medium 3″ Diameter Best All Around Size for Mirror Mounts Outstanding Performance 5′ 6″ Long 30,000 Watt Capacity Bandwidth 26-29 MHz Ultra-Wide Band Impedance 50 Ohms 1/4 Wave Whip Included 49″ 3/8″ x 24 thread Whip is not shown above, but is included Use a heavy duty mount with these antennas because of the length. Monkey Made antennas have a Lifetime Warranty . Monkey Made CB Radio Antenna, LONG Shaft, 49" Stinger MM9 30k Watts!! MONKEY MADE MM9. with extra heavy duty Ferrule and Stinger. and do not be fooled by cheap imitations, they don't stand up to the durability of a Monkey Made antenna. This antenna is, without a doubt. 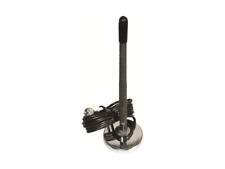 Tram Tri-Magnet Cb Antenna Mount with Rubber Boots & Coaxial Cable, 5"
Tram-browning Inc. Tri-magnet CB antenna mount with rubber boots and 18ft rg58a/U coaxial cable. 18ft low-loss Rg58a/U Coaxial cable. Soft rubber boots on magnets for scratch-resistance. 5 out of 5 stars - Tram Tri-Magnet Cb Antenna Mount with Rubber Boots & Coaxial Cable, 5"
3 product ratings3 product ratings - Tram Tri-Magnet Cb Antenna Mount with Rubber Boots & Coaxial Cable, 5"
Ham Radio Antenna Stainless Steel Whip. 102" LONG WITH 3/8" X 24 THREAD. Great Antenna ho YES 5 y ( 20. EFFINGHAM RADIO REPAIR. 17-7 STAINLESS STEEL CAN BE BENT 180 DEGREES AND. Great antenna e 5 ( 211. ). New black Single 4 ft fiberglass CB antenna kit, complete with mount and coax cable. This antenna is rated at 1000 watts and is helically wound, with standard 3/8" x 24 thread. RG58u coxial cable.Works with any cb radio. 17-7 ph STANLESS STEEL WHIP. HIGH IMPACT WHITE PLASTIC HOUSING. 15' WHITE COAX WITH PL-259 CONNECTORS. 18 FOOT COAX CABLE. CB RADIO ANTENNA SINGLE GROOVE MIRROR MOUNT. 5/8 wave Rated @ 100 watts. 3 ft. Black Whip. 3/8 x 24 standard thread. HUSTLER IC-100 MAGNET MOUNT CB AND HAM ANTENNA!!!! 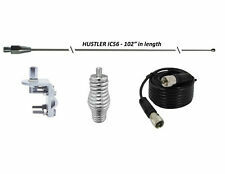 Hustler IC100 Magnetic Mount CB Antenna. For 27Mhz CB. powerful magnet. EXIT 160, I/57 & I/70. GOOD ANTENNA SWR WISE BUT KINDA DEAF h t ( 248. Good antenna at a good price! c 8 ( 138. 15 feet of coax with PL-259 connector. ). 17-7 PH stainless steel whip and lower rod. Field tunable. Center loaded. Mil-Spec Polyolefin WHITE sheath. QUANTITY OF ( 2 ). 62" Stainless Steel Tapered Whip with Brass Tapered Tip! EASY installation and you really cannot go wrong with this whip! 62" Stainless Steel Tapered Whip with Tip. Made with premium stainless steel. Monkey Made CB Radio Antenna, Short Shaft, 49" Stinger MM9 30k Watts!! 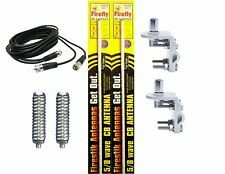 5 out of 5 stars - Monkey Made CB Radio Antenna, Short Shaft, 49" Stinger MM9 30k Watts!! 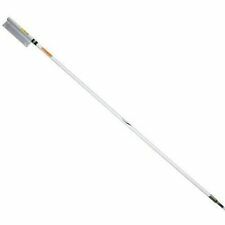 4 product ratings4 product ratings - Monkey Made CB Radio Antenna, Short Shaft, 49" Stinger MM9 30k Watts!! 1499 NO GROUND MINI Base Antenna. LOW WIND RESISTANCE. EFFINGHAM RADIO REPAIR. p 2 ( 10. BASE, BOAT, TRUCK OR RV OPERATION 500 Watts. 50ft rg8x coax cable. Freq Range 26-30 MHz. Needs NO Ground Plane. ). T2000 Series is a Stainless Steel Center Loaded Coil. - 5" Shaft and 49" Stainless Steel Whip. WILSON 2000. EFFINGHAM RADIO REPAIR. - Uses 10-Gauge Silver Plated Wire. - Frequency Range: 26MHz to 30MHz. MONKEY MADE MM-9-SHORT 20,000 WATT OPEN COIL ANTENNA Features and Specifications: Short Shaft Center Loaded Mobile CB Antenna Made Tough for Professional Drivers Most Commonly Installed on Big Trucks Flat 1/2" Wide Heavy Gauge Aluminum Open Coil Design For Better RF Energy Surface Heli-Arc Welded For Unsurpassed Connection And Strength Extra Heavy Duty Ferrule Extra-Heavy Duty Mount and Stud Required (Sold Separately) Ultra Broad Banded - 26-29MHz Receives and Transmits Further and Better Achieve a Better/Lower SWR Across a Broad Band 20,000 Plus Watts Power Handling Coil Diameter - 3" Shaft Length - 4" Approximate Antenna Length (Excluding Whip) - . CENTER LOAD REDUCES TOTAL HEIGHT OF WHIP. 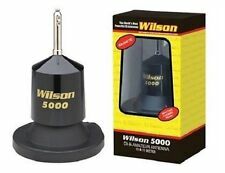 WILSON 5000 MAGNET MODELS. 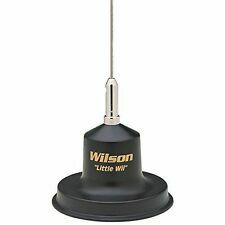 Wilson 880-900817 36" Short Load Antenna. WORKS WITH WILSON 1000 AND. 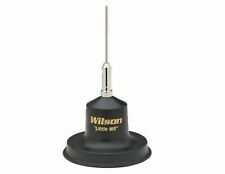 Wilson Antennas 880-900817 36 Short Load Antenna. EXIT 160, I/57 & I/70. UHF female (SO-239) connector. Includes mounting bracket & 3 stainless steel radials 20 1/2". Imp: 50ohm. 3 sections. International Policy. 5" Shaft and 49" Stainless Steel Whip. WILSON 2000. EFFINGHAM RADIO REPAIR. - Uses 10-Gauge Silver Plated Wire. - T2000 Series is a Stainless Steel Center Loaded Coil. - Frequency Range: 26MHz to 30MHz. Frequency Coverage: 26.0-30.0 MHz. VSWR 1.5:1 / Bandwidth 1.5 MHz. This Antenna is for the Serious DXer. Connector: UHF Male PL259 (requires a SO-239 mount). Lightweight, Easy-tune 'bare-hands tunable tip'. 4 Ft (122cm) 5/8 wave Rated @ 200 watts. T2000 Series is a Stainless Steel Centre Loaded Coil. Manufacturer: WILSON R ANTENNAS. Manufacturer WILSON R ANTENNAS. Model Number: 305-493. Manufacturer Part Number 305-493. Our apologies for any inconvenience. 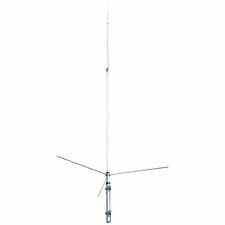 35", 17-7 Stainless Steel Whip Antenna. - 300 Watts AM Power Handling Capability (ICAS). EFFINGHAM RADIO REPAIR. MARCI BEN ! j 1 ( 328. Great antenna works perfect c 1 ( 21. b 5 ( 577. Fast Courteous service! ). PREDATOR 10K K-2-9 COWTOWN CB,HAM ANTENNA MADE IN THE USA!!! 10,000 watts!!!! PREDATOR 10K K-2-9. Predator K-2-9. This antenna just plain rocks! 3/8 Base Thread Standard thread type found on 95% of all CB antenna mounts. No problem, each part of the 10K antennas are available. 5 out of 5 stars - PREDATOR 10K K-2-9 COWTOWN CB,HAM ANTENNA MADE IN THE USA!!! 10,000 watts!!!! 3 product ratings3 product ratings - PREDATOR 10K K-2-9 COWTOWN CB,HAM ANTENNA MADE IN THE USA!!! 10,000 watts!!!! 18 FOOT COAX CABLE. CB RADIO ANTENNA SINGLE GROOVE MIRROR MOUNT. 5/8 wave Rated @ 200 watts. 4 ft. Black Whip. 3/8 x 24 standard thread. Antenna mount for Freightliner Cascadia 2018 2019 mirror mount CB TV, radio XM. Keep in touch with a CB radio antenna. On eBay, you can find them both new and used, and in a variety of configurations. Whether you use your CB radio for commercial or personal use, a capable CB antenna makes many things possible. What are the basic types of CB antennas? Bottom loaded aerials: Also called base-loaded or magnet aerials, their thick wires concentrate in the bottom of these receivers. Magnets and low centers of gravity make them well-suited for external mounting. No ground plane aerials: These receive signals even if mounted on non-metallic vehicle surfaces and have wire wrappings mounted in their bases. Whip aerials: These derive their names from their whip-like shapes and are coil-less. The greater the length, the more effective it is. Center loaded aerials: The wire wrappings in these receivers sit towards the centers of the shafts. Fiberglass aerials. Durable and light, these aerials have small coils in their tips. The longer they are, the more range they give you. Can you use these receivers for CB and ham radios? Yes, you can use them for both CB and ham radio signals. Some manufacturers make CB radio signal receivers that can capture signals from both ham and CB radio transmitters to give you more options in emergencies. How do CB antennas work? There are a few details you should know about when using these antennas, particularly range, tuning, and wiring. Range: The range of your aerial depends on several factors including total wire length, but 3-10 miles is a standard measure. If you choose receivers of the right length, mount type, and quality, you will be on the right track. Tuning: You may need to tune your CB antenna, depending on the situation of your vehicle and your particular antenna. Your vehicle acts as an electrical base for your radio receiver. The size of this foundation varies from car to car. To get the most out of this effect, tuning your pickup is necessary to help your aerial to pick up and increase signals in its frequency range. Lastly, a tuned antenna can help your gear last longer. Wiring:The quality and type of wire you use affects the performance of your aerial. To get more out of your system, you can use shielded coaxial cable, which resists outside interference. 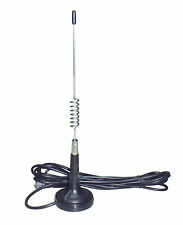 How do you choose from CB radio antennas on eBay? Brand: Some brands you can pick from include Francis, Hustler, K40, Monkey Made, TRAM, and Wilson. Fit: Select from Base Station Radio or Mobile/In-Vehicle Radio. Condition: Used CB radio antennas are available in excellent, used condition, which can come in handy if you're on a budget.